Welcome to our HEDGEHOGS AVAILABLE web page. This page was originally designed way back in the mid 2000s to highlight some of the individual hedgies that we had available for sale at the current time. It was intended to be a way for us to showcase some of the PINTO COLOR PATTERNS that we were beginning to develop right around 2004 or 2005. Since then, HEDGEHOGS by Vickie has become well known in the hedgehog community for our exceptionally flashy and well-marked PINTO HEDGEHOGS. Like pinto horses, each animal is slightly different and unique. We originally used this page to post pictures of some of our PINTO “kids”, so that our customers would have a better idea of the marvelous color patterns that were available in real time. Back in the day, this page was constantly changing. Although this page was never a complete listing of all of the animals that we had currently in stock, it was helpful in highlighting SOME of the special little guys that we had available for purchase. 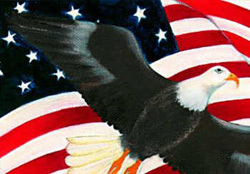 We made every effort to keep the postings on this page current. 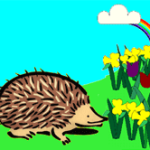 The early days of HEDGEHOGS by Vickie on the internet were exciting for us! Posting descriptions and images of individual animals was a thrill for us as the litters were being weaned. 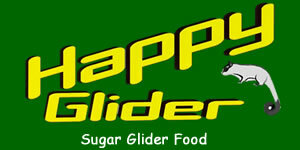 This particular web page soon became VERY popular with folks on the web. 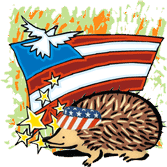 We started to receive inquires and hedgehog questions from people all over the nation! Who would have thought that our internet exposure would lead us to actually ship hedgehogs via the airlines from coast to coast! There was a time, over a decade ago when we were regularly getting up in the wee hours of the morning to drive hedgies to O’Hare Airport in Chicago before having to go to work at our “real” jobs. so did the number of inquiries for our little guys. 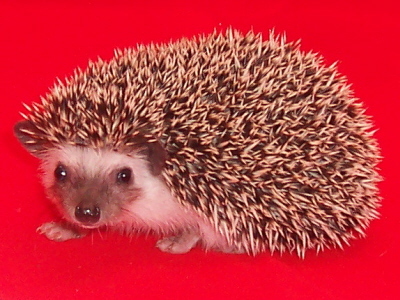 Many times, we would post a listing of a specific hedgehog, and he would be sold within a few hours of being on line. We had to regularly apologize for not being able to keep fresh faces of our little buddies posted on this page. Quite frankly, our two + decades of raising wonderful little hedgies, and the customer referrals that come with our reputation of having sweet social babies, has made keeping this page current an impossibility. HEDGEHOGS by Vickie has always been a glorified hobby for us. We NEVER wanted it to be a hedgehog factory. We are hedgehog enthusiasts who have shared our home with hedgies for decades and we hope to continue doing so for decades to come. The popularity of our web site & the quality of animals that we raise meant that we soon found it difficult to have very many individual animals to showcase on this page on a consistent basis. 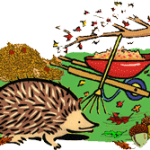 And since we have full time jobs in addition to the hedgehog care responsibilities, it soon became obvious that we needed to revamp this web page. So in lieu of that, we want to use the remainder of this page to explain our policies and procedures in order for you to obtain one of our precious (and famous I might add) baby hedgehogs . 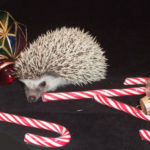 Are You Are Looking For Hedgehogs For Sale in Illinois? 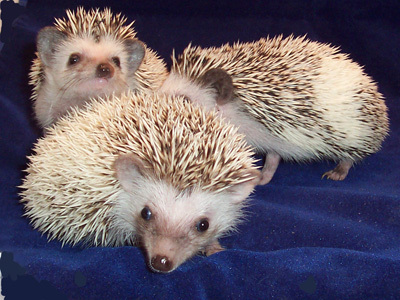 Or Hedgehogs For Sale in Chicago? 1) All of our hedgehogs are sold locally. 2) Our hedgies are generally between 7-9 weeks old when sold. This can vary however depending on such variables as size of litter, time of year, and the experience of the Momma. 3) Our hedgehogs are usually sold from our WAITING LIST. Occasionally, we will have something available “off the rack”, but this will vary greatly depending on the season. Please familiarize yourself with the particulars of our WAITING LIST below. 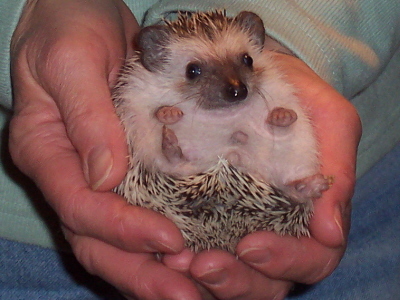 4) We sell our baby hedgehogs to PET HOMES ONLY. (Please NO breeder or dealer calls). 5) The prices of our hedgehogs depends primarily on color. The flashier the markings, or the more exotic the base color can increase the price of the animal. The majority of our animals fall in the $250 -$350 price range…..but there are some rarer colors & patterns that can get up into the $400s. 6). Your purchase of a baby hedgehog from HEDGEHOGS by Vickie also comes with access to our expertise. Hedgehogs are incredibly shy introverted creatures. The first month or so in your home needs to be a slow, methodical trust building process. If you overwhelm your new hedgehog too quickly with either too much handling or allow too many people to get involved in the BONDING PROCESS too fast, you can drive these little fellas into their shy introverted shells! There are a number of DOs & DON’Ts in order for your hedgehog to come to trust you. At HEDGEHOGS by Vickie, we want you to do all of the Dos and none of the Don’ts! There is A LOT of conflicting information on the internet. 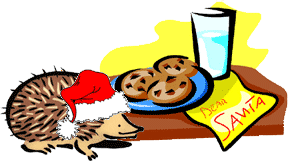 Our desire is for you to get started on the right track with your hedgehog from the get go. When you come to pick up your little hedgie buddy from us, plan on spending a couple of hours with us. In addition to providing you with care sheets, we need to go over the correct bonding techniques that we have learned experientially by living with hedgehogs for 2+ decades. In addition, you will ALWAYS have access to our after sale support if you ever have questions or concerns. 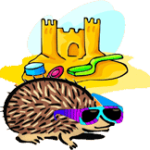 Here at HEDGEHOGS by Vickie we are continuously endeavoring to match up individual baby hedgies with families that are the right fit for each other. If this sounds like something that you might be interested in doing, we encourage you to contact us as soon as possible to be placed on our WAITING LIST. Please realize that the length of time that you will have to wait for your new baby hedgehog will be minimized if you are open to a variety of quill colors, eye colors, sexes, and price ranges. The more versatile that you are, the shorter your wait will be! We suggest that you spend some time on our COLORS PAGE and familiarize yourself with the hedgehogs that we breed. This will help you to determine which hedgehog colors would be appealing to you. We encourage you to contact us as soon as possible to be placed on our WAITING LIST or for more information. Our 20+ years of raising wonderful little hedgies, and the customer referrals that come with our reputation, has meant that very few animals are sold “off the rack”. We are always eager to “talk hedgehogs” and we will be happy to answer all of your questions regarding upcoming availability. Our average wait time is 4-6 weeks (although this will vary depending on the time of the year.) Some lucky folks have had animals available sooner!!!! Do not hesitate to call us for current availability information. 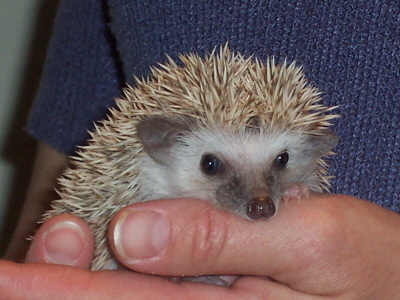 The common colored STANDARD color hedgehogs generally have the longest wait. (Colors like: SALT & PEPPER, ALBINO, and straight CINNAMON). Since WE are more fascinated with the fancier colored animals, that is what we tend to produce more of. And we like to mix up our pairings so that we have a few animals of a variety of colors being born at any given time. We are well known for our HIGH WHITE PINTO hedgehogs. We breed a lot of SNOWFLAKE hedgies too. An example of this are the animals pictured on the right. They are extra special….they are BOTH PINTOS & SNOWFLAKES!!! NOTE: THERE IS A TRADITIONAL & NON-TRADITIONAL BREEDING SEASON FOR HEDGEHOGS. 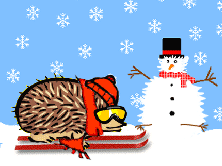 At HEDGEHOGS by Vickie, we breed hedgehogs year round. However, FALL & WINTER is not the natural breeding season for hedgehogs. During the Winter months, we have to trick the little guys into thinking it is SPRING through the use of artificial light and heating techniques. Consequently, the number of litters being born and the selection available will start to become less abundant in LATE FALL/EARLY WINTER. You should keep this in mind if you have your heart set on something really specific. Please realize that until SPRING returns, the availability of WINTER time hedgehogs can be a tad thinner than we would like it to be. If you have been considering opening up your home & heart to a baby hedgehog…..NOW would certainly not be too soon to inquire about being added to our WAITING LIST! Also, a quick note about SPRING BREAK and SUMMER VACATIONS: you will need to be able to commit the first 30 days or so of having your new hedgie to the important FORMAL BONDING PROGRAM. If you are planning a family get away, it is best to call us well in advance, so that we can try to time the arrival of your new buddy around your vacation schedule so that you will be home in the weeks after he arrives. JUST CAN’T WAIT??? NEED THAT HEDGEHOG SOON??? WELL….YOU MAY JUST BE IN LUCK!!! There is always the possibility that we may have a FEW SELECT HEDGIES available coming up in litters that are currently not spoken for. So if you are looking for a sweet little hedgie to share your home with, and you are open to a variety of colors, sexes, & price ranges….CALL US TODAY….we may just have something that will work for you! a baby hedgehog from us??? available to all of our baby hedgehog customers!!!! 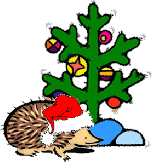 Past experience has taught us that when Christmas approaches, we will receive LOTS of inquires for hedgehogs in the weeks leading up to the holidays. 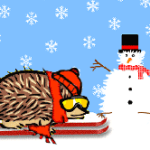 This time of year can be especially challenging for us to have enough little hedgehogs available to meet the large number of requests for “HOLIDAY HEDGIES”. name on our WAITING LIST will be the first to be offered our little guys as they are being weaned. 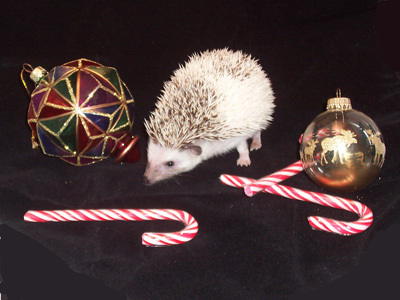 In order not to disappoint anyone, we STRONGLY suggest that you call us as soon as possible to discuss the options for Christmas hedgies. Depending on your needs and preferences, we may just have something that will work for you BEFORE the hectic holiday season! 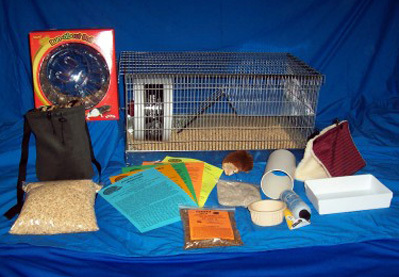 DELUXE CAGE SET UP under the tree, and postpone the arrival of the hedgehog until after the busy holiday season. for both you and the hedgehog). to help you make that happen! Just give us a call and we can work out the logistics with you! we are constantly in the process of weaning more wonderful spikey babies! As I write this, we have more youngsters in the nest box that will be available for purchase in the coming weeks. If you are interested in purchasing a hedgehog, we encourage you to call us with your requests…. and to be placed on our WAITING LIST.